Nearly Everything You Wanted to Know about "The Basilica of the Annunciation at Nazareth" you can find here! Did you know that the Holy House "Santa Casa" purported to have been the house of the Holy Family in Nazareth was transported by angels toItaly in the Middle Ages. Where inItaly did it finally come to rest? This and all other legends, myths and stories of the Holy Places and the sites around Nazareth are piquantly told in this Christian guide. Where did Jesus' Transfiguration take place? 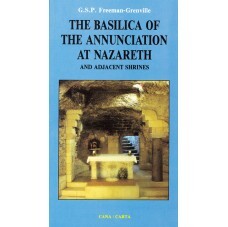 The Basilica of the Annunciation at Nazareth.